Thank you to all of our generous customers for donating to Braveheart Estates: Operation Injured Soldiers last month. 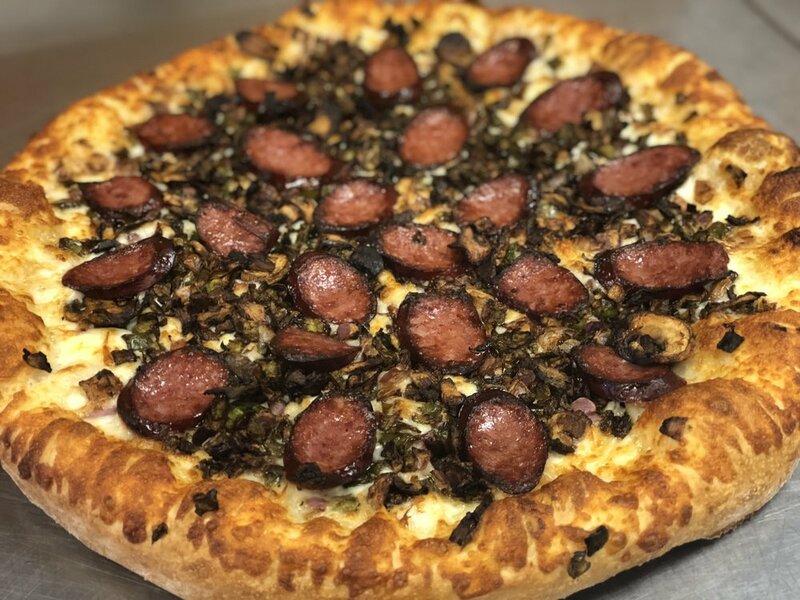 Both start with Alfredo sauce mixed with Mabs’ Atomic Mustard, our caramelized onions, green peppers, mushrooms, mozzarella and Little Town Jerky’s Venison Sausage! 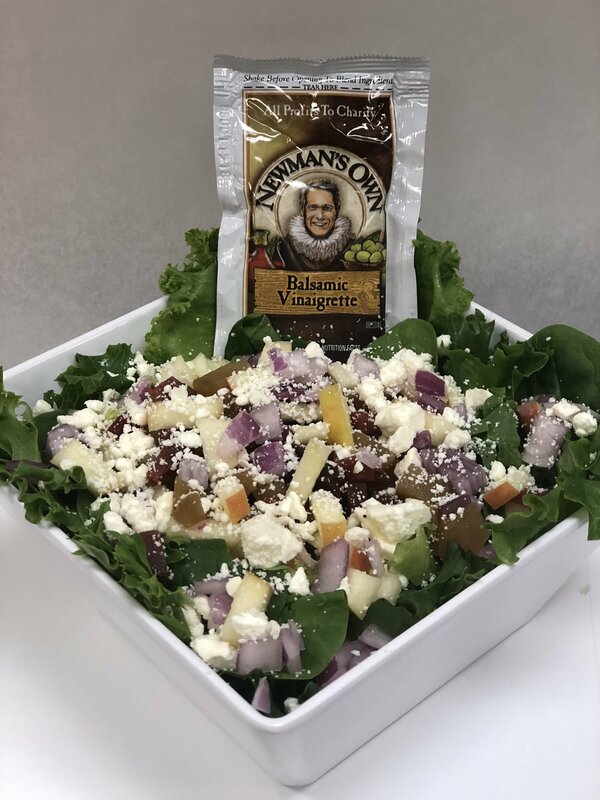 This tasty salad starts with a mix of emerald lettuce and spinach then gets topped with onions, feta cheese, red and yellow beets, chopped honey-crisp apples and served with a balsamic dressing. Scare hunger away with Piper’s signature Mighty Good MONSTER! This pizza is extra thick, weighing in at nearly 6 pounds, with an extra crispy exterior and delicious center. Two large pizza doughs, pizza sauce, ham, pepperoni, onions, green peppers, green olives, mushrooms, tomatoes, bacon & double cheese. For more information on Mab’s Atomic Mustard you can view their website Here. For more information on Little Town Jerky’s Venison Sausage you can view their website Here.